How do you decide what to call your quilts? If you are a traditional quilter then I'm guessing you have the block names to help you, Bear Paw or Double Wedding Rings or Log Cabin all sound fine as they are. But what if you're making it all up as you go along? Some people just seem to have a knack for it finding the perfect name. The reason I'm pondering this right now is that I realised I have been calling my lastest WIP 'Charley', which is fine while it's in the works, but might seem a bit odd if I wrote it on a label and stuck it on the back of the finished quilt. Unless I go with the hurricane school of naming, then my next quilt could be Diana, then Ethan...It would certainly be easier than having to come up with something clever and appropriate! You are asking the WRONG person here, lol. I call my cat, Cat. And I consider myself to be a creative person! That's funny, when I was growing up my mum had a cat which decided to live with us, and she was always just called The Cat. When we had two cats, they were White Cat and Red Cat. I had everyone in the family doing it. I meant no disrespect to my kitties, it's just easier. I have so many people names to remember, lol! Yea for your mum! Name it Charley. I have a hard time naming as well. 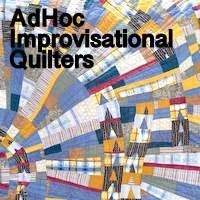 I named one quilt September because that was the month that I made it. I wouldn't worry about having to explain. It is just a name. Fair point. Charley it is! You were amongst the people I was thinking about when I wrote this - you have some great quilt names.